Most people will undertake some form of simple pest control on their property using a pesticide. Pesticides consist of herbicides, fungicides, insecticides and rodenticides to kill or control weeds, plant pests and diseases, flies, ants, rats or mice. At some stage, a pest problem may be encountered which you are unable or unwilling to manage. Therefore you will need to engage a registered professional pest management business. In WA, any person who applies a pesticide for 'remuneration' must hold the appropriate licence with correct endorsements. They must either own or work for a registered pest management business in accordance with the Health (Pesticides) Regulations 2011.
Business Registration and Pest Management Technician Licences are issued by the Department of Health – Pesticide Safety Program, within the Environmental Health Hazards Unit. Every business that provides a pest management service must be registered and every person who applies a pesticide within that business must hold a current technicians licence. Persons working on behalf of a pest management business soliciting sales for pest management work such as termite barriers and maintenance contracts must also hold a technician’s licence endorsed for sales. A licence is issued upon completion of the approved training for endorsements sought. A ‘Provisional’ Technician licence holder is a person who has completed minimal training and applies pesticides under supervision. This person works under the personal supervision of a fully qualified Technician for a minimum of 30 working days and continues to be supervised until they have completed the rest of their training. A ‘Technician’ Licence holder is a person who is able to work unsupervised and has completed the necessary training. Businesses also require registration. This is granted upon meeting the requirements of the Health (Pesticides) Regulations 2011. Businesses also require registration. This is granted upon meeting the requirements of the Health (Pesticides) Regulations 2011. 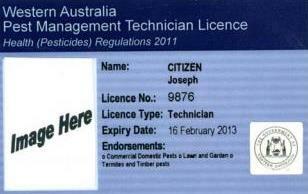 The Western Australian pest management licence is a photo ID licence, as pictured below. The front of the card lists the type of licence, the expiry date and the pest management activity the licence holder is authorised to carry out. (These are notated on the licence as endorsements). Other types of endorsements include fumigation, crops and pasture and feral vertebrates. Listed on the back of the card are restricted pesticides the Technician is authorised to use and any conditions relating to the use of those pesticides. Obtain at least three quotes and compare costs, services, products warranties and methods of application. Request a written inspection and treatment plan. What is the after-sales service policy if the work is unsatisfactory? What do any contracts or guarantees cover and what conditions apply? 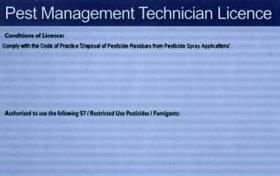 Request written information on the pesticide to be used, treatment methods and limitations. Ask what to expect and what precautions to take during and following treatment. Is the business prepared to provide information regarding prevention of future pest problems? 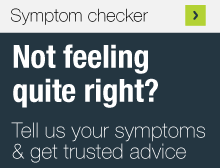 Talk to friends, family or neighbours who may be able to recommend a pest management business. Check that the person selling you a contract is licensed and that the person who will be applying the pesticide holds a valid licence and is authorised to do the job. Confirm these details when they arrive by checking their licence endorsements and expiry date. Check that timber pest inspections are carried out to an Australian Standard, e.g. AS4349.3-1998. Note: This is not a Department of Health requirement. If you are unsure about the license status of a Technician, contact the Pesticide Safety program to verify the business registration and/or the technician’s pest management licence details. The Department of Health registers pest management businesses and licenses pest management technicians, therefore is unable to provide recommendations for particular businesses or technicians. the Environmental Hazards Unit of the Department of Health by phone 9222 2000 or email.